As I mentioned in a previous post﻿, and everyone who has attempted it will tell you “breastfeeding is the most unnatural natural thing you will ever do” and I can only say from my perspective that nothing rings more true about the premature baby experience than this. The day after Monkey was born Michael and I headed out to Babies R Us and picked out the highest rated, most compact, most expensive breast pump we could buy. Breastfeeding was by far the most important thing for us to achieve and we were going to do it no matter the sacrifice. Now as a side note and a piece of advice I will give about this is get the insurance they offer that allows you to easily return it if there are issues. When we got back to the Ronald MacDonald House to sterilize and set up the pump we opened the box to find several parts broken. I have never returned a pair of jeans as easily as they exchanged the pump for us… but that could have been the tears and hysteria on my face that read “Don’t mess with this mama”. Once we got everything sorted and had a pump that actually worked it was time to start “building up my supply” and because pumps are not babies and I hadn’t been able to hold Monkey I had a long road ahead of me. This meant every 2 hours in the day time and every 3 at night I was to pump for 20-30 minutes or until 5 minutes after I stopped leaking, which ever came first. Which in theory sounds like a lot of work but in truth is was expanentially more work than what appeared at first glance. Each pumping session began either 2 or 3 hours from the beginning of the previous one, so if you began pumping at 12noon when you finished at 12:30 you had 90 minutes to lable the milk, store the milk, wash and sterilize your pump parts and with whatever time was left eat, sleep, or do whatever else you need to to get by and then prepare to start again. 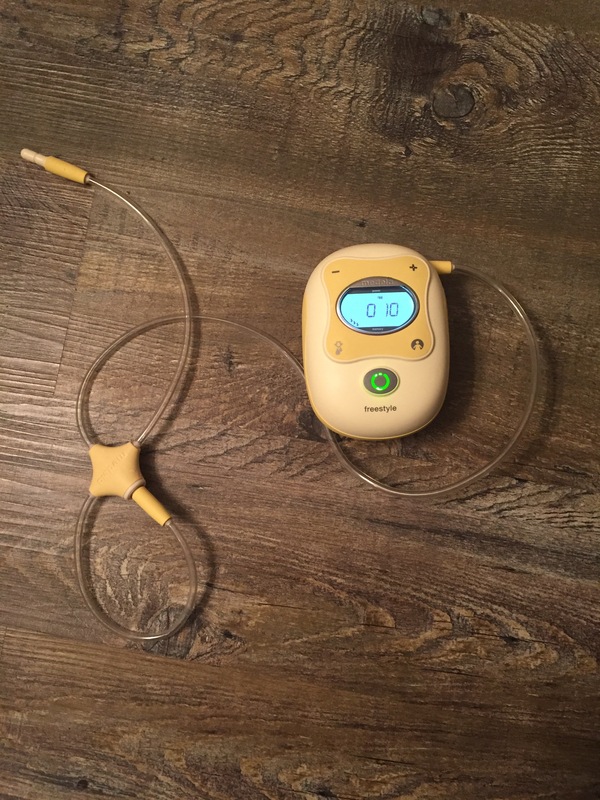 The day time pumps were not so bad, they helped make the time sitting on the unit fly by which is a blessing when you are there for weeks on end, and really what else did I have to do while watching my Monkey in an isolette all day. Where the real struggle was and where you learn to make good friends with your breastpump is those middle of the night sessions where you move slower so even though you have that extra hour it probably isn’t used for sleep but for remembering what day it is so you are labelling the milk properly, or crying because the hormones and exhaustion have taken over and you “just can’t” watch another cat video, or see another favourite get kicked off Big Brother or the Island or whatever mindless television you are watching to make the time go by and take your mind off of what is happening. From what I could tell for a lot of moms on the unit this went on for a few days, maybe a week, and then their littles started demand feeding and you were only building supply in the fridge on the unit for when you weren’t there for a meal and at night. This was NOT the case for Monkey and I. This schedule not only lasted the entire time Monkey was on the unit, but continued after his discharge for about 2 weeks. This was because even though Monkey had mastered breathing to his full lung capacity, breathing while in deep sleep, and waking to demand food on a semi regular basis, he refused to feed orally. I give him credit though, how many of us juice or drink smoothies because they are so convenient you can even work out and lunch at the same time. Well he brought it to a new level with his NG feeds where he could sleep and eat at the same time. And it wasn’t that he was unable to bottle feed, it was that he just didn’t want to. It was moments like this where Michael and I realized how much of our personalities were genetic. Thankfully at this point the breastpump and I had a solid relationship and we had the pumping sessions down to a science. I could pump enough mls for a day in one session so from time to time I could skip a session at night to sleep. My freezer was overflowing with extra to keep up with the demands of a baby gaining several ounces a day. And with the help of my husband and reaching out to a lactation consultant Monkey finally made life a little easier for me and began nursing on his own. Now I have to give props to all the formula feeding and exclusively pumping moms out there because those extra steps are a lot of work, because I am reminded again of all the work it takes. You see between Christmas and New Year I became too sick to nurse Monkey and had to revert to an albeit much less taxing pumping schedule to maintain my supply and was reminded of those long days and nights from 9 months ago. So keep on moving forward with your feeding goals Mamas no matter what you choose, you are doing what is best for your babies and families and no one can make that decision for you.